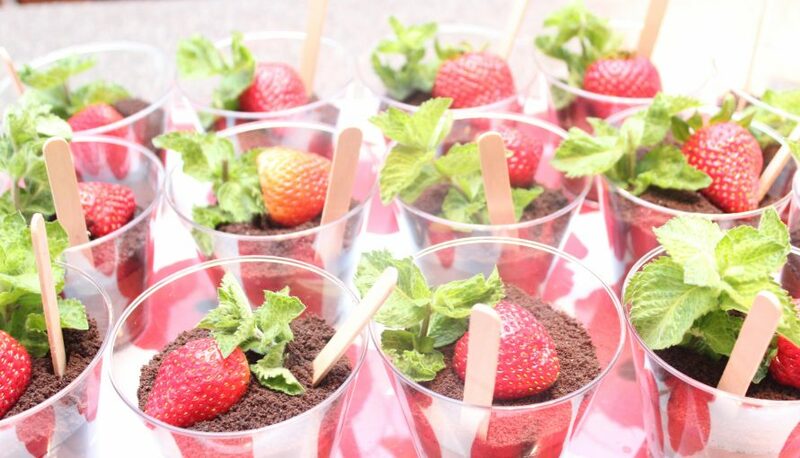 These chocolate dirt cups were another dessert I made for my sister in law’s strawberry garden themed bridal shower. I found a bunch of these recipes on Pinterest. The only thing I changed was replacing a gummy worm to a strawberry to make it relevant and cute! 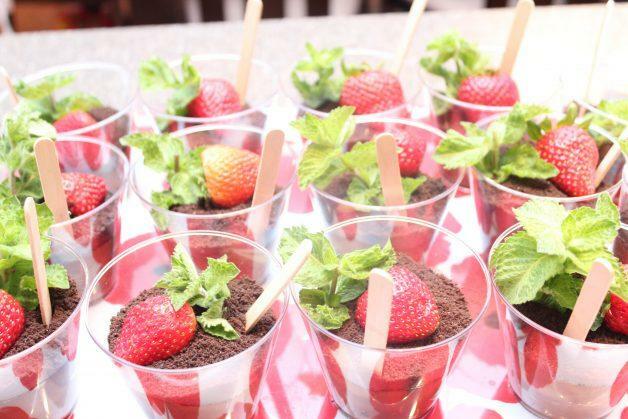 The best part of this yummy dessert is how simple they are to make! 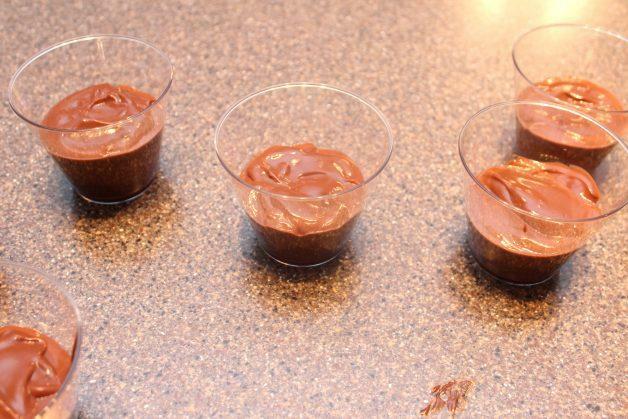 First, make the pudding and put into dessert cups. 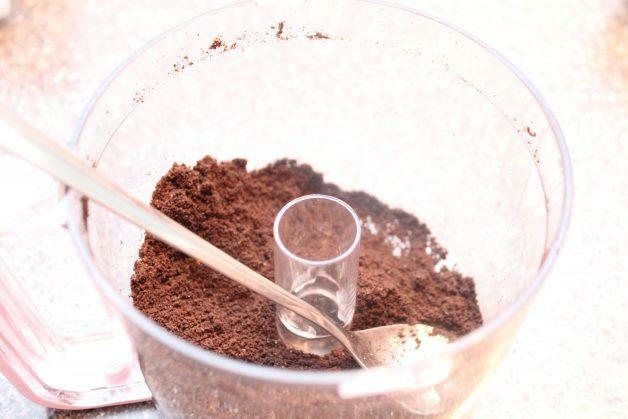 Then, make place the Oreos into a food processor and make fine crumb for the soil.